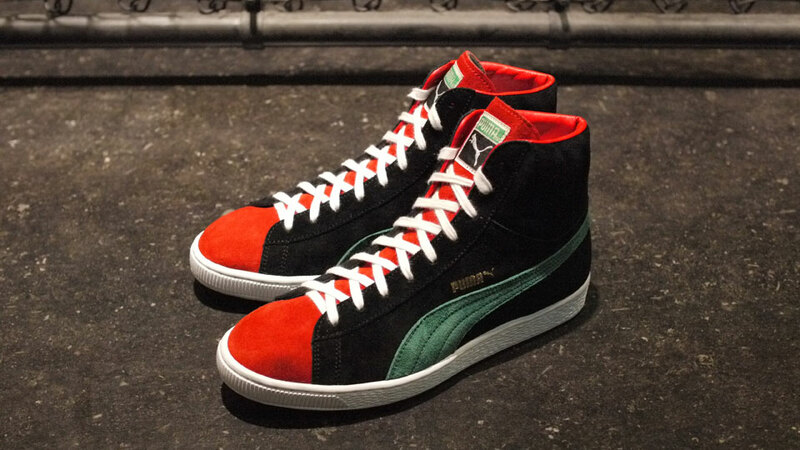 PUMA Japan presents another "Made in Japan" Suede Mid, this time in collaboration with Japanese retailer magforlia. 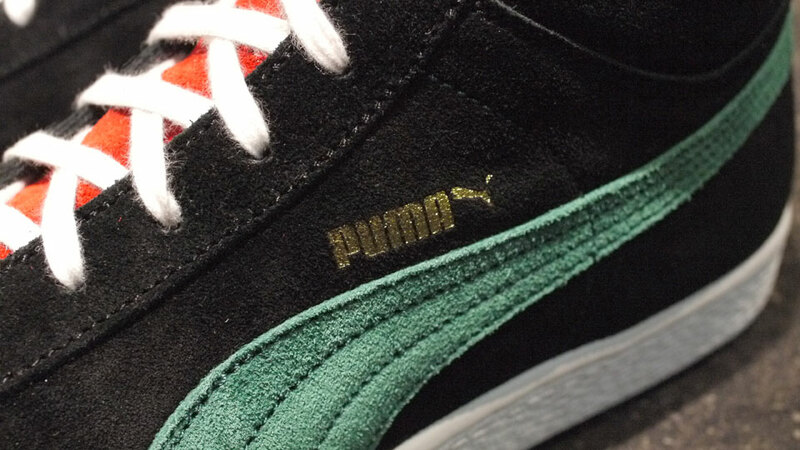 Following the bright gold Undefeated Tokyo Suede Mid shown here yesterday, PUMA Japan presents another "Made in Japan" Suede Mid, this time in collaboration with Japanese retailer magforlia. 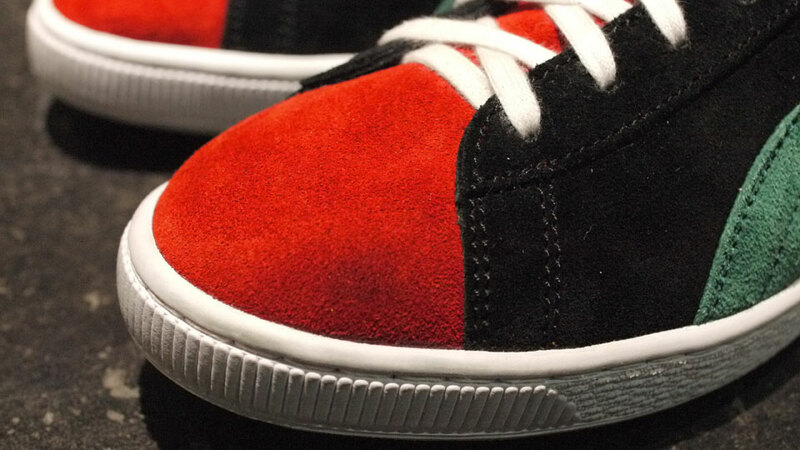 The magforlia Suede Mid features a colorway designed by magforlia's Takaya Yamada. The Rastafarian color theme utilizes black, red and green on the upper, along with a white midsole and laces. 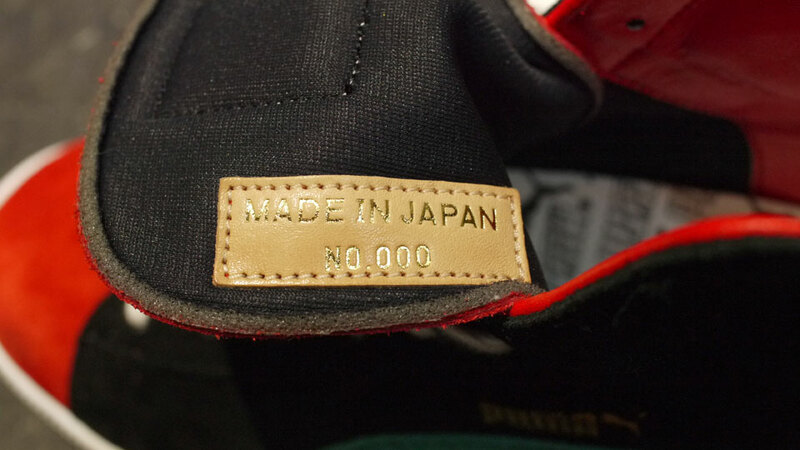 A special "Made in Japan" patch appears on the inside of the tongue noting the number of each pair. 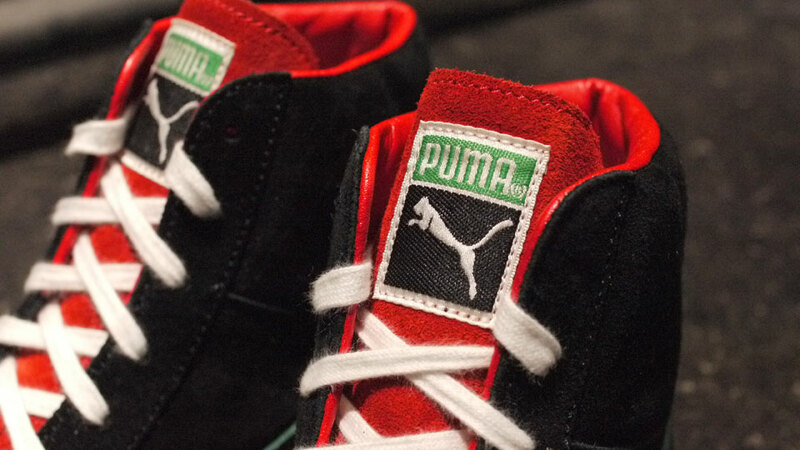 The magforlia PUMA Japan Suede Mid is available now at Tokyo's mita sneakers.